The Pet Resort Budget Estimator is designed to help you create your digital marketing budget very easily and quickly! Just enter your data into the fields below and the tool will automatically display an estimated digital marketing budget that’s aligned to your business. Use the estimator to model different situations and discover new insights into ways you can reach your 2019 needs and goals! Provide the total number of boarding enclosures you have at your pet resort. This includes both those for dog and cats, regardless of size. Do not include crates if they are used only for overflow and peak periods. This is the annual rate at which you convert leads (phone calls, email) to actual bookings. Enter the total number of actual bookings you get per year divided by the number of leads you receive that are related to making a booking. Do not include calls/emails from clients checking on their pets or from vendors or employees. If you don't know your conversion rate, estimate it the best you can. We recommend these ranges: 5%-10% for generally less targeted leads and a simple sales process; 10%-30% for good targeted leads with an average sales process; 30%-50% for great targeted leads with a superior sales process. This is the total number of boarding pet nights per year divided by the total number of unique customers (households) per year. This will take into account multiple pets. Our research indicates this will usually be in the range of 5-10 nights per customer. Enter the average revenue per night. 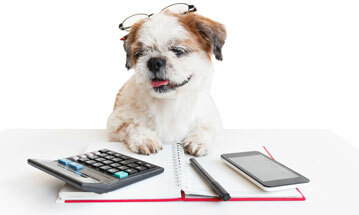 Total your boarding revenue for the year and divide it by the total number of pet nights booked in the year. Enter your current occupancy rate. This can be calculated as the total number of pet nights sold per year divided by the total number of pet nights available (# of enclosures * 365). For example, if you have 200 enclosures and book 36,000 pet nights per year, your current occupancy rate is 36,500 / (200 * 365), or 50%. This is the percentage of your total revenue that represents boarding and boarding-based services. Enter the annual revenues associated with a boarding reservation (lodging, activities, training if offered as an addon to boarding, food, etc) divided by total annual revenues. Enter the % of customers who have made multiple bookings in the past 24 months. By submitting your input into this form you are agreeing to share the data you’ve provided in exchange for estimated digital marketing results. These results will be sent to you as an email attachment upon clicking the Submit button, and you may be contacted by someone from Nehmedia, Inc. for feedback of the estimator, its results or other information.